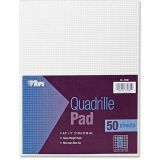 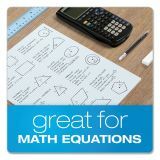 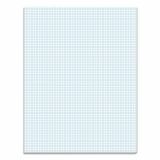 TOPS Quadrille Pads, 8 Squares/Inch, 8 1/2 x 11, White, 50 Sheets - Quadrille pad is ruled with 8 squares per inch for professional-looking creations. 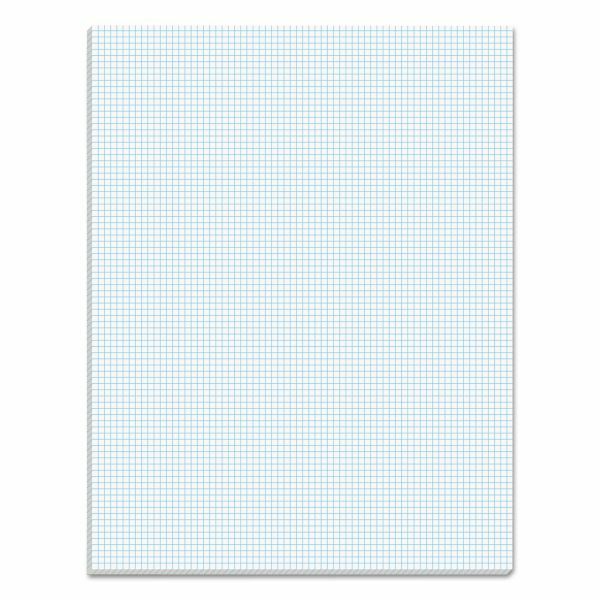 Precision ruling is even and consistent and delivered by a special, nonrepro blue ink. 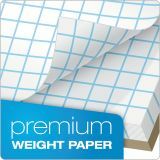 Heavyweight, 20 lb., white bond paper is ruled on both sides. 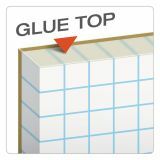 Glue top allows clean sheet removal every time with no loose sheets to get lost. 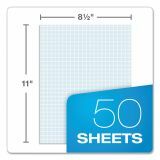 Letter-size pad contains 50 sheets and offers a 27 point chipboard backer for writing support.